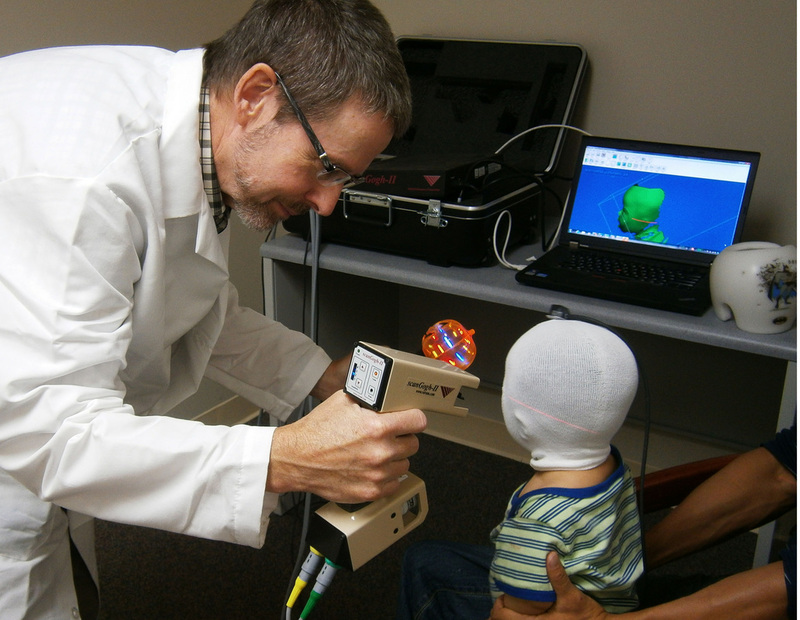 Here Paul is scanning an infant for a cranial remolding orthosis (CRO) with the highly accurate 3-D Scangogh II scanner. Look closely, and you can see the image appearing on the computer screen. 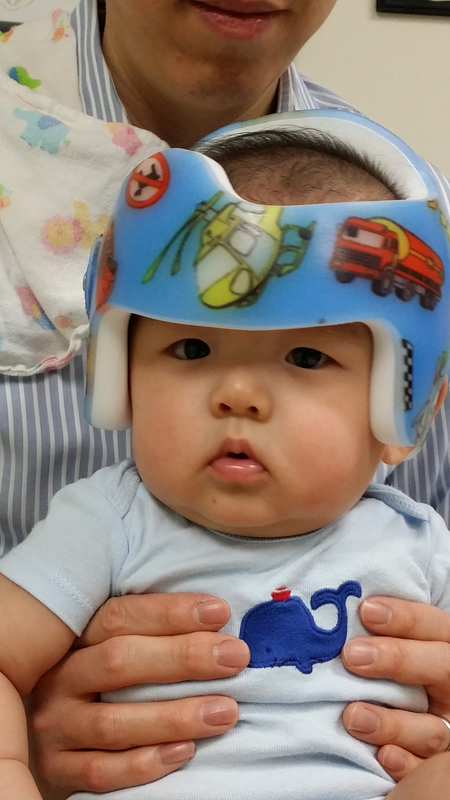 Align Clinic is proud to have cutting edge technology to use on our infant patients in order to have very accurate cranial remolding bands fabricated. In the not too distant past, it was necessary to cast the infant to obtain an impression of the skull, which usually resulted in an unhappy baby, unhappy parents, and yes, an unhappy practitioner! 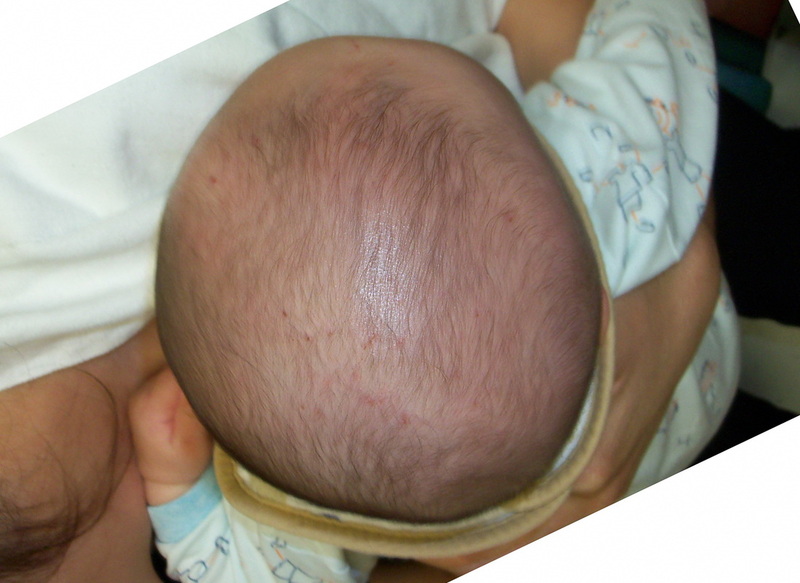 As most infants with plagiocephaly have some degree of torticollis, a course of Physical Therapy and a home exercise program will usually be part of the recommended treatment. A physical therapist can teach you exercises to do with your baby involving stretching techniques that are gradual and progressive. Most moves will consist of stretching your child's neck to the side opposite the tilt. Eventually, the neck muscles will be elongated and the neck will straighten itself out. Although they're very simple, the exercises must be performed correctly. 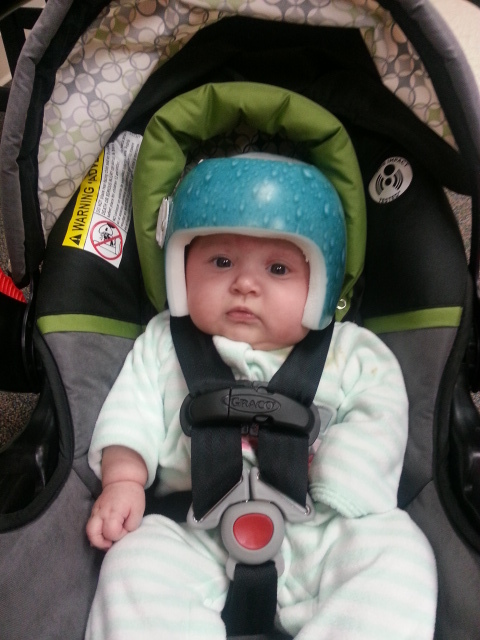 For infants with severe positional plagiocephaly, doctors may prescribe a custom-molded Cranial Remolding Band, often called a cranial helmet, or head band. These work best if started between the ages of 3 to 6 months, when a child grows the fastest, and are usually less helpful after 12 months of age. They work by applying gentle but constant pressure on a baby's growing skull in an effort to redirect the growth. 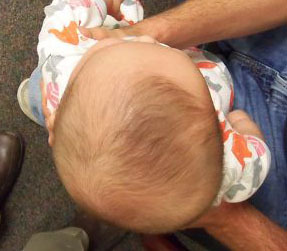 Scaphycephaly is the most uncommon of the three. 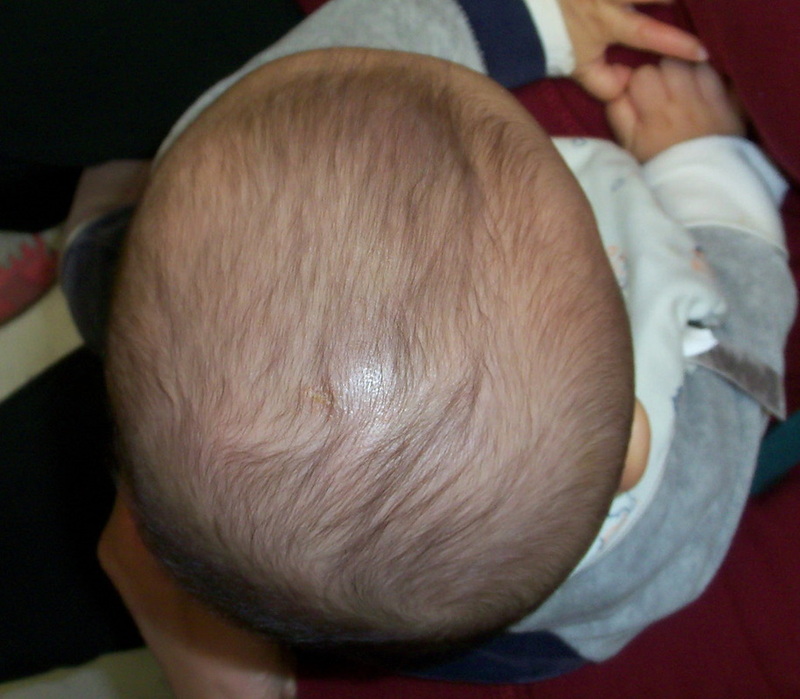 It describes a flattening on both sides of a child’s head, giving the overall impression of a long narrow head shape and is associated with an overly exaggerated neck line. 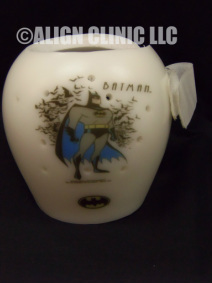 Align Clinic is very proud to be working with Orthomerica; the world leaders in infant cranial remolding bands (CRO). Orthomerica has successfully treated over 100,000 babies across the world. They are the makers of the STARband Cranial Band, for which Orthomerica recently received FDA approval to fabricate using the ScanGogh II laser imager that we use here at Align Clinic. This scanner employs a Class I laser that has been proven to be harmless to eyes and skin and is no brighter than a common grocery store price gun. 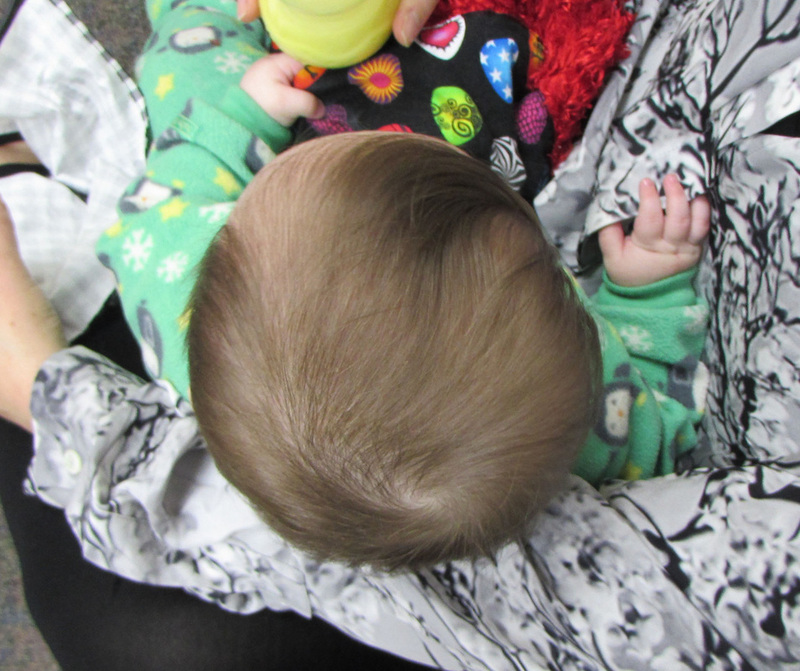 Paul Burnette, CPO is a cranial specialist, and really enjoys working with the babies and parents. The first evaluation with him is free. He will take several key measurements and pictures, and answer whatever questions you may have. He will then communicate with your child's physician, as well as your Physical Therapist, regarding the course of treatment and the outcome.